How much do you love McDonald's soft serve ice cream? But do you love it so much that you could eat it every day for the rest of your life? 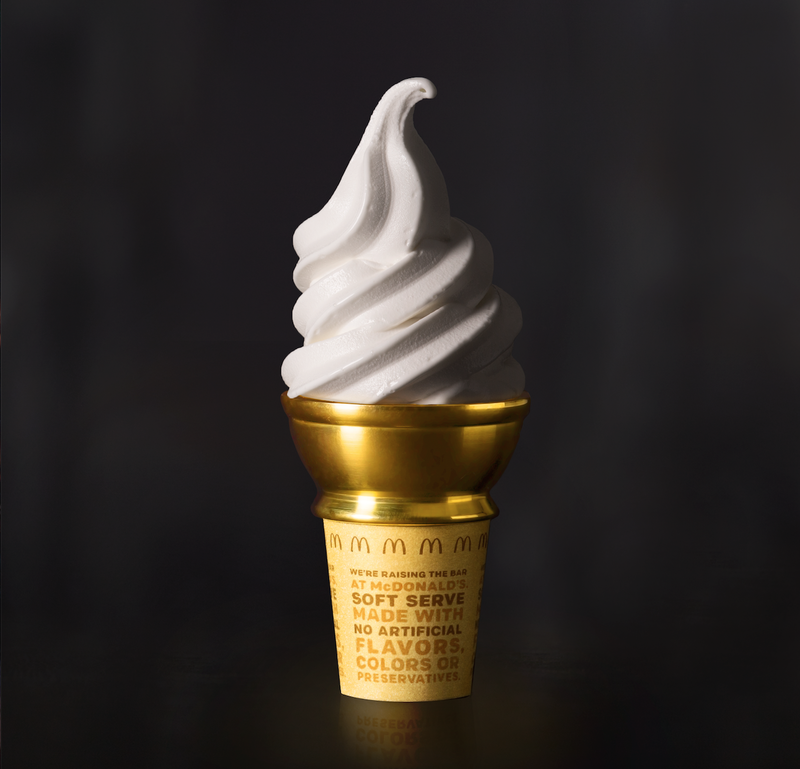 On July 16 -- which also happens to be National Ice Cream Day -- one lucky person will win a special McDonald's gold cone that gets them free soft serve for life, according to Delish. Here's how to get it: as Cooking Panda reported earlier, Mickey D's is giving out free vanilla soft serve cones between 2 p.m. and 5 p.m. on July 16 in honor of the very special holiday. To cash in on this excellent offer AND be automatically entered to win a lifetime of happiness -- errr, I mean free ice cream -- all you need to do is download the McDonald's mobile app and redeem the offer, which should pop up under the "my deals" section. If you score big, you sadly won't be able to eat the cone, which is a brass replica of a wafer cone and is plated with real gold. But you will be able to eat a lot of free ice cream out of it if you want. 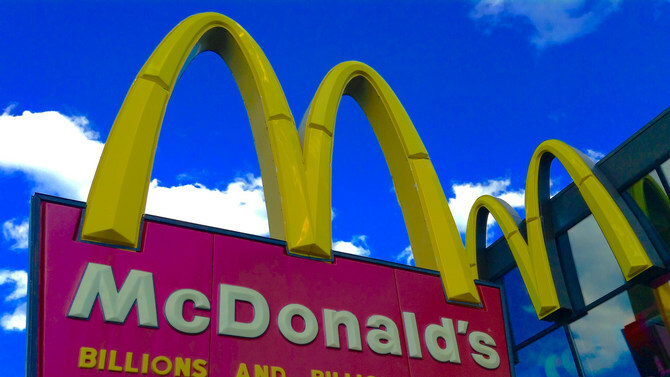 According to McDonald's list of rules, the odds of visiting the restaurant with the gold cone is one in 13,938, so the odds of winning are even lower than that. But hey, it's got to be somebody, right? Why not me? It's my solemn duty to tell you that technically this isn't exactly a free pass to get all the ice cream you want. McDonald's creepily defines "life" as "one cone each week for 50 years," so if you live longer than that you'll need to conserve your scoops. What you'll actually be receiving is a $312 McDonald's Arch Card along with a $4,680 check, which still sounds pretty sweet to me.